The Great Bay Stewards provide financial support for a number of programs associated with the Great Bay Research Reserve – everything from K-12 school programs to research on green crabs. The Stewards’ most important contribution was raising funds to match federal dollars for the Reserve’s new interpretive boardwalk, which opened in June 2016. Located at the southern end of the Great Bay in Greenland, the Great Bay Discovery Center serves as the Reserve’s visitor’s center and inspires environmental awareness of this wonderful natural resource. The Stewards support the Center’s activities with financial assistance and volunteers. In addition to the Center’s K-12 school programs, they also offer winter and summer programs for children. BayVentures is a series of summer environmental education programs for ages 7-11 emphasizing the flora and fauna of the Bay. Once Upon a Estuary offers summer and winter story-telling, play and craft programs for younger children. Please call 603-778-0015 for additional information. Great Bay Stewards members receive a discount to both programs. 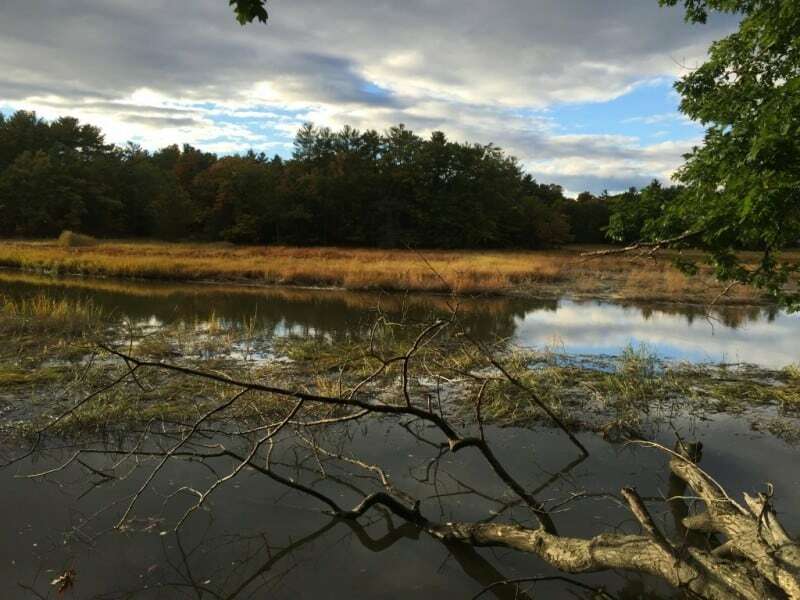 The Stewards support habitat conservation through the Reserve’s land acquisition program under the Great Bay Resource Protection Partnership. To date, the Partnership has helped the Reserve to grow to over 10,000 acres. In addition to land acquisition, the Stewards provide for the sound management and stewardship of these protected lands. Steward members help organize and participate in annual work parties on projects designed to enhance the recreational opportunities and preserve the ecological features of each parcel. Sponsor continuing membership for the Great Bay Estuarine Research Reserve in the National Estuarine Research Reserve Association, and play an active role in that Association with other friends groups. Assist local communities and regional groups with projects that promote the health of Great Bay. Offer community outreach that will help property owners learn simple steps that can help protect Great Bay. Feel free to review some of our programs designed to assist efforts to conserve and preserve the Great Bay that include Soak Up the Rain, and our publication devoted to all things Happening with the Great Bay, Great Bay Matters. Help us to conserve and protect our Great Bay.